WHAT IS THE TITHE CHALLENGE? The 90 Day Tithe Challenge is a chance for you to build a habit of tithing as well as explore a deeper relationship with God through the experience of faith that comes with giving. A tithe, which just means “tenth” is when a person decides to give the first 10% of their income back to their local Church. 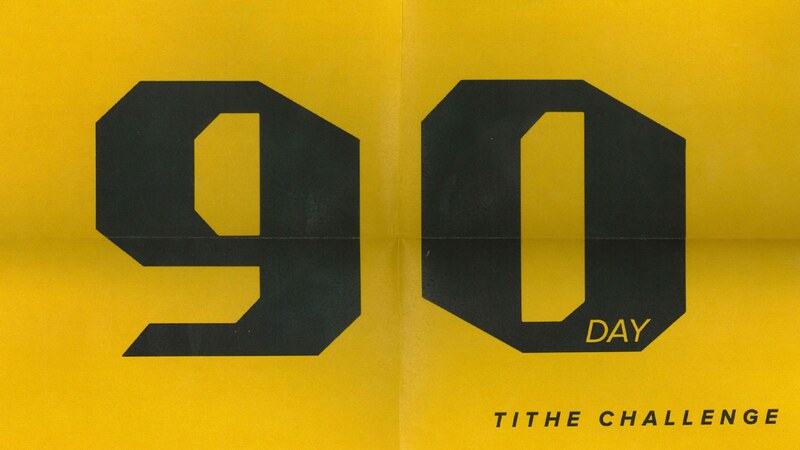 Taking the Challenge just means that you’re going to commit to tithing faithfully for 90 days. What do you have to lose?